- Order now and get 40% off the retail price! - You also receive online access to the interview questions and answers! 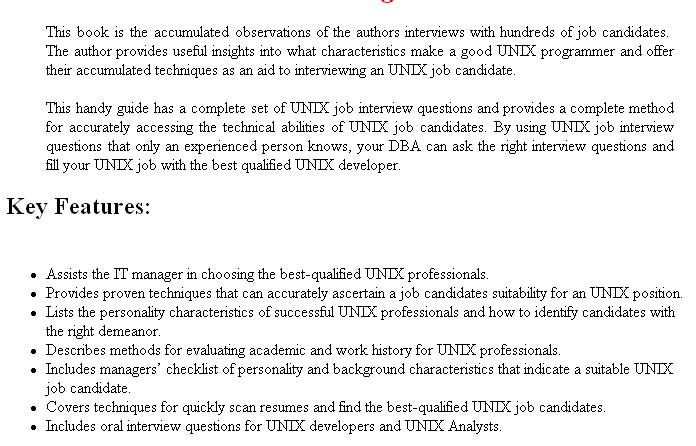 This is the best Linux job interview questions book with Linux job interview questions & Linux job interview tips.